Are you looking for a new vehicle? If so, you may want to come in and look at all our great GMC leasing specials that we have. 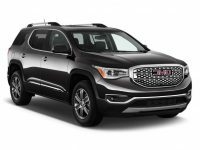 GMC has a variety of great vehicles to choose from, and we can help you to get the best possible leasing deals available anywhere in the NYC or Brooklyn area. We have been a leading leasing company in the area since 2008, and we are here to help you get the vehicle of your dreams at a price that wont break the bank. 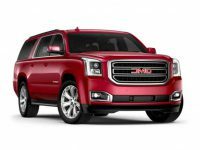 In fact, that is one of the best things about GMC leasing. You can get a beautiful new vehicle without having the sky high monthly payments to worry about. Lour leasing options will ensure you get an affordable payment and the right terms to ensure you are happy with your decision today and throughout the length of your lease. 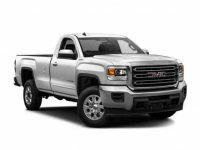 We have a number of different GMC vehicles available to lease. 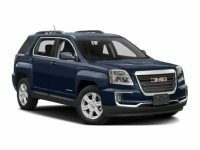 So, whether you want a Terrain, Acadia or a Yukon, we have them available to test drive and lease today. We also have other models that you can come look at and choose if they are the right option for you. Remember, we work directly with the factory, which means that if you have a specific model that you want or a specific trim package, we can have it delivered to us right away. We have the most flexibility of any leasing company in the area, which gives you many great options that you wont find anywhere else. Cars For Leasing Online has been serving the people of this area since 2008, and during that time we have grown and expanded significantly. Today we have five locations in the area. You can come see us in Manhattan, Westchester, Yonkers, Brooklyn or Paramus, NJ. At each location you will work directly with one of our expert leasing professionals. 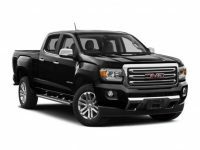 They will work hard on your behalf to get the perfect GMC vehicle for you. 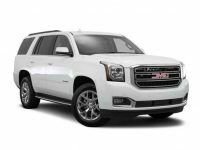 Of course, we have many other vehicles to look at as well, so whether you know you want to go with GMC leasing or you still arent 100% sure, we are a great place to start. Our leasing experts can also help you by coming up with great terms of your lease based on your specific needs. Whether you want a longer or a shorter lease, for example, we can set it up the way you want it. One of the most common questions we get from our customers is regarding their existing vehicles. Some people want to know if we accept trade ins when they are leasing a new vehicle. Yes, we accept all types of trade ins, which can help to further reduce your monthly payments or even eliminate the need for a down payment. Others ask about their current lease, which may not have expired yet. If that is the case, we can help you to break that lease and get you into a new GMC lease without any problems.